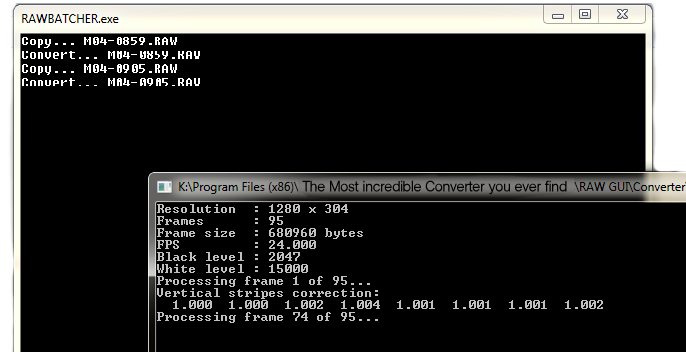 The RAWBATCHER helps you to mass convert your RAW files to usable .dng sequences. You just have to move your RAW videos to the Imput folder, then execute the RAWBATCHER and wait for your files being converted. The RAWBATCHER will close itself automatically, once the Imput folder is fully rendered. This tool can help you to save you a lot of time for converting your footage. 1. Unpack the Online Arts RAW BATCHER in any directory you prefer. 2. Start The RAWBATCHER.exe file. 3. Maybe you have to give the permission to start raw2dng. 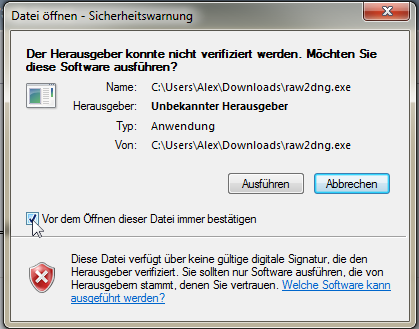 Just unclick the checker, so you don't have to give the permission every single time. 4. Check the Output folder for your footage. The .dng sequences will be saved into seperate folders that were called after the footage. This Software is published under the GNU public licence v2. Raw2dng was done by magic-lantern.